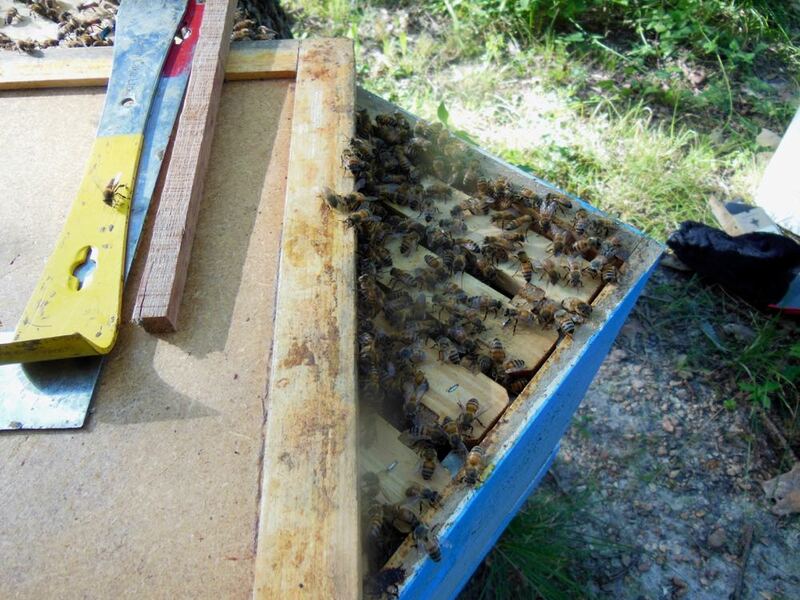 Worker bees in one of my hives at Bluebird Gardens. Of the three kinds of bees in a colony, worker bees are the most amazing to me. Nothing against the queen, or the male bees drones, but the worker bees are the ones that keep the colony going. Besides, doing all of the hive housework, and they keep the hive very clean - the worker bees are also responsible for making key decisions for the success of the colony. It's the worker bees that decide when it's time to replace the queen. 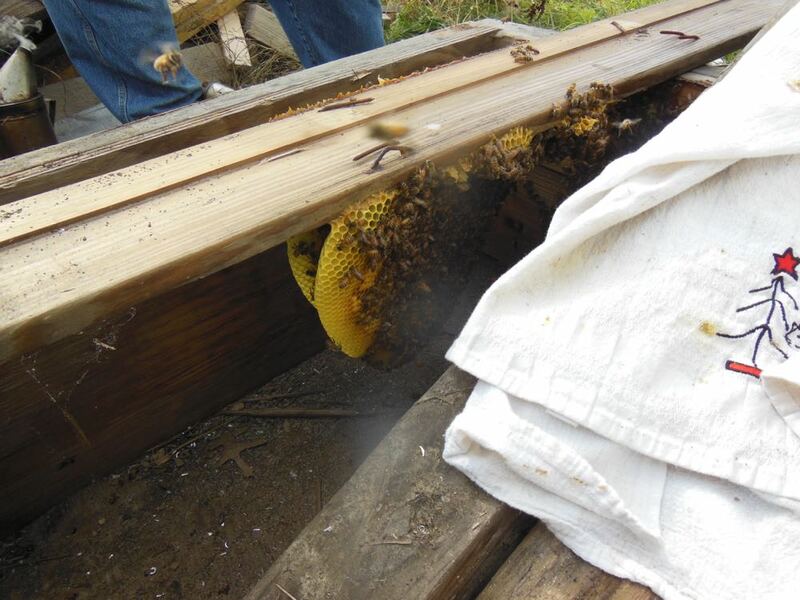 They also raise the male bees, and kick the out of the colony when they need to ration hive food supplies. During their average six-week life, they produce 1/12th of a teaspoon of honey after visiting thousands of flowers to bring back nectar and pollen. Besides flying, worker bees flap their wings to keep air moving through the hive. When they die, they die because they have worn their wings to tatters. Worker bees have one of the most complex languages, communicating through a dance that tells their sisters direction of pollen and nectar sources. They still can find the shortest distance between two points faster than any computer. When observing my colonies, it's fascinating to watch how they relate to each other, and at times, to me. They do recognize me, and if I am late getting a start in the garden, I will find an entourage waiting for the sugar syrup feeders to leave the garage. They are old hummingbird feeders with slots on the bottom where bees can easily get to the sugar water. Although I have read conflicting information, worker bees seem to work most of their lives, making them one of the hardest creatures I know. Found this charming garden flag at a local home and garden store, the first swarm catch! The countdown has started. It's a little early, maybe by about three weeks but reports are trickling in that drone brood has been spotted in colonies. It's just a matter of a few warm days before they will be hatching and bee swarm season will be here. 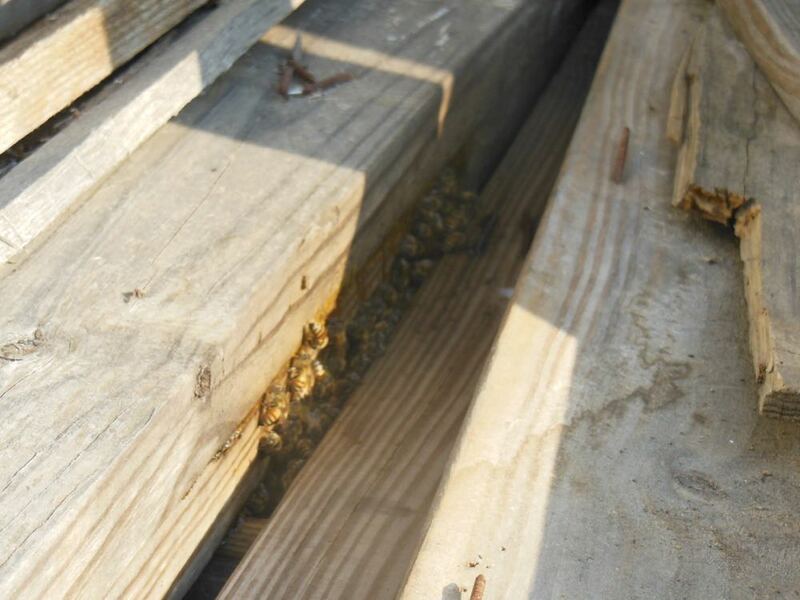 Swarm season is when bee colonies decide to split, nature's way of ensuring a bee colony propagates itself. The old queen takes 1/3 of the bees and takes off, leaving a daughter and the remaining bees behind. Frankly, I love catching swarms, from getting the call to settling them into a new home and then waiting to see if they actually settle in. Once a call comes in, one doesn't have a lot of time to dilly dally around, it's off we go to locate the bees and hopefully get them into a box and back to a new home. As I was walking through a local farm supply center, I ran across this garden flag with a swarm on it and smiled. It's perfect to have on the flag next to where David parks his car when he waits for me to grab my bee suit as we head out for a swarm call. Bee garden banner is out next to my swarm call pick up point! It may be a little early to be going on a call but it's never too early to be thinking about catching bees, even ones on fabric! 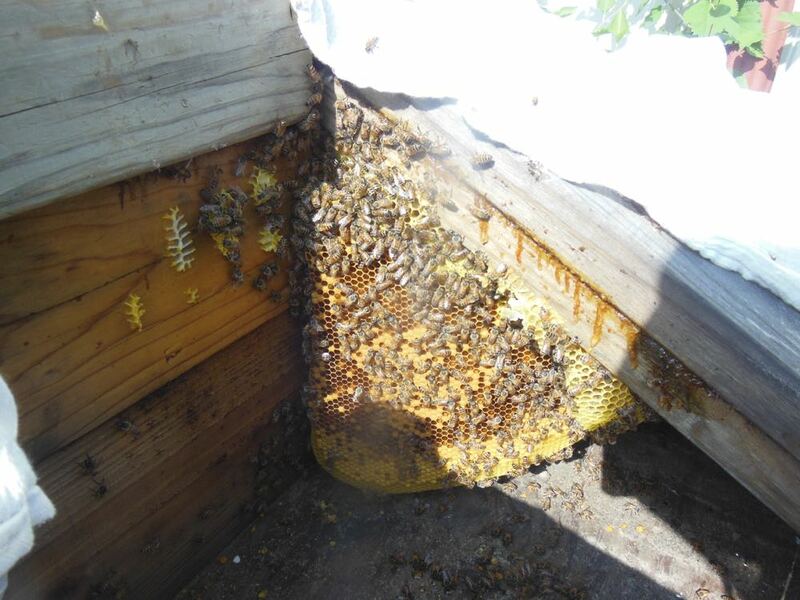 The caller said bees were nesting in the inside of her parked truck in Salem, Mo. 2016 was a busy year for swarm calls but not all of them were about honeybees. This call was from a lady in Salem, Mo. who said her grandson and dog were repeatedly stung by honeybees the day before in her yard. They had contacted an exterminator but he had told them he couldn't kill the bees if they were honeybees so she needed someone to tell her what was doing the stinging. My bee buddy David and I headed to Salem, swarm equipment in hand, as usual but not expecting to use it on this call. 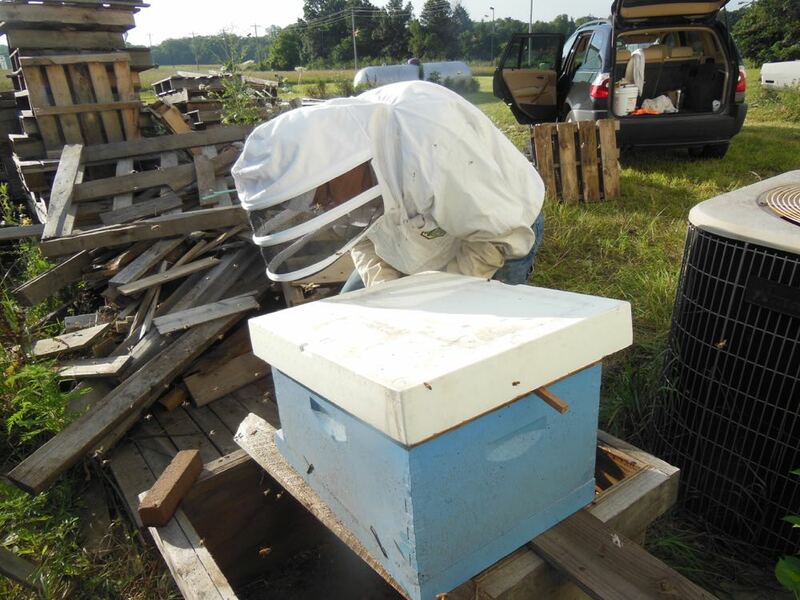 We usually quickly respond to calls for swarm removal so we keep our equipment handy. 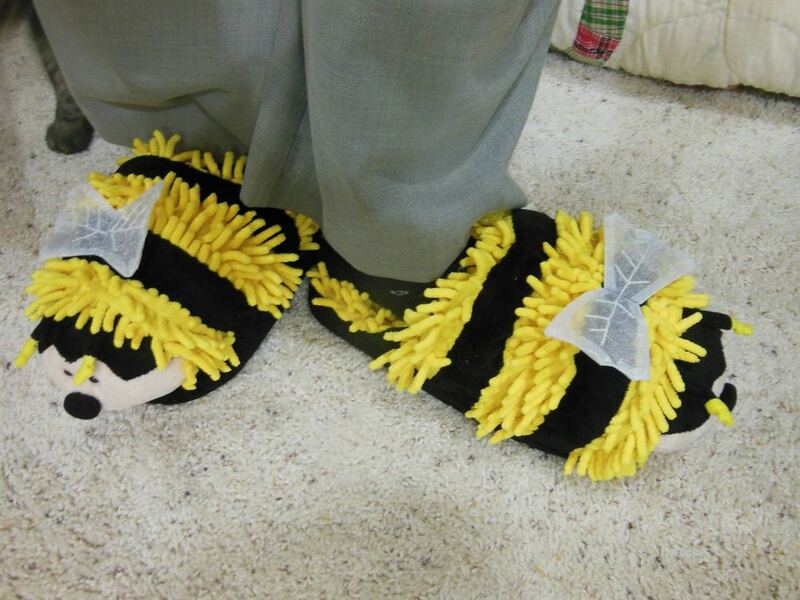 There were some tell-tale signs that these weren't honeybees. The report of repeated stings was a sure sign they might have wasps. If the exterminator wasn't following up, though, that suggested a further identification issue. Once on site, we found a front lawn full of blooming white clover. We checked under the parked red truck and found several bumblebees flying out of the door hole. David also checked under the truck but no honeybees. After I checked the underside of the truck, David decided to do another check. I followed several bumblebees around the garden and crawled under their wooden porch to find a couple of dozen bumblebees flying around the area under the deck. Bumblebees are usually ground nesters so we suggested to the homeowner that they move the truck, they may have parked it over a bumblebee nest. 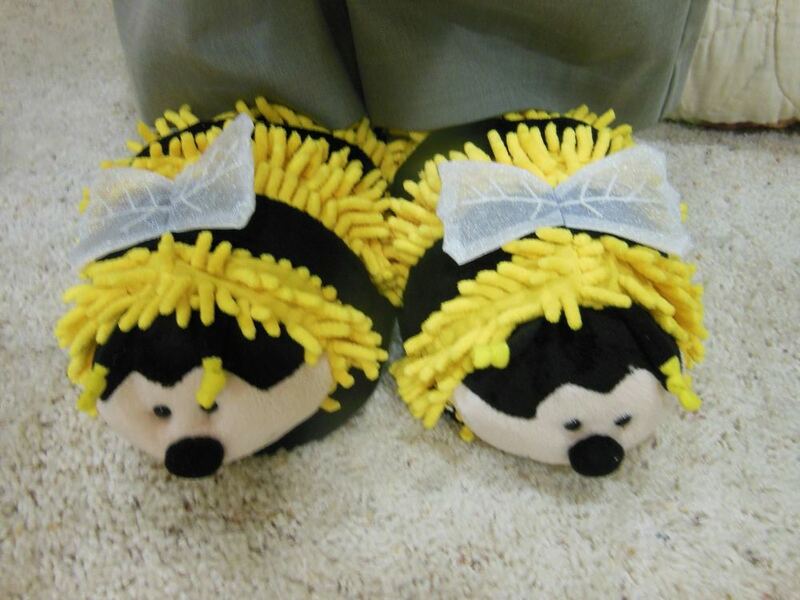 Secondly, that they watch where the bumblebees are going in under the porch and ask for exterminator help. These were definitely not honeybees and they were not swarming. At least it was a pretty day for a country drive! Have you noticed bumblebees in your garden? On a lunch break from bringing a nursery bee hive back home May 2015, I captured one of the honey bees flying loose in the car. To keep her safe, I shared an orange peel in a cup to give her a safe place to light. The bee came out of a "nucleus" box destined for a beekeeping friend. As we were ordering lunch, other friends selected beers to go with their lunch. Knowing my friend was a beer connoisseur, I asked him in a text which of the beers his honeybee would like. Not that bees regularly drink beers. They will be attracted to any sweet beverage, especially if there isn't much blooming. I suppose I should have guessed the answer. He said she would take one of each! When honeybees aren't rummaging for pollen in bird feeder cracked corn, they like a drink of sugar water from one of my bird baths. If honeybees didn't have access to sugar water, they would be eating stored honey so I keep their "bee bars" stocked. That way they can save eating honey for colder winter days when they can't leave their hives. Fun to see them out and about, I miss being with my bees in winter.